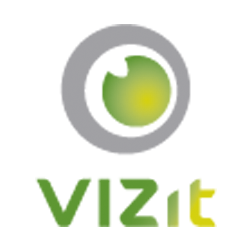 In addition to the changes listed below, please refer to the Vizit 5.2 release notes for a full list of changes and additions to Vizit. The 5.2 release has been updated. This new build can be downloaded from http://www.vizit.com/download/. For those upgrading from a build prior to 5.2, please be sure to read the release notes of subsequent builds and follow any necessary steps for data migration, where necessary. Fixed an issue that resulted in an AccessViolationException to be thrown under specific circumstances. Fixed an issue where, under certain circumstances, scanning would fail with the error message, "EZTWAIN function called with invalid window handle. EnableSource - !IsWindow(HWND)". Addressed an issue where Instant Previews could fail in search results when search terms contained certain, non-alphanumeric characters. Fixed an issue where the Property Editor in Vizit Essential would fail to load properly.